"Mixed Methodology in Psychological Research"
was held in Freudenstadt (Germany) and was organized by the Center for Qualitative Psychology (Tübingen, Germany). The meeting discussed methodological controversies in social research and tried to give reasons for alternatives to mono-method research and presented examples of mixed methodologies from different fields in psychology and education, from psychiatry to organisational psychology, from learning studies to media analysis. - deeper understanding of findings by mixing methods. 3.7 Coherence in knowledge communication: How do online groups communicate? The contributions to this meeting are not available for download. 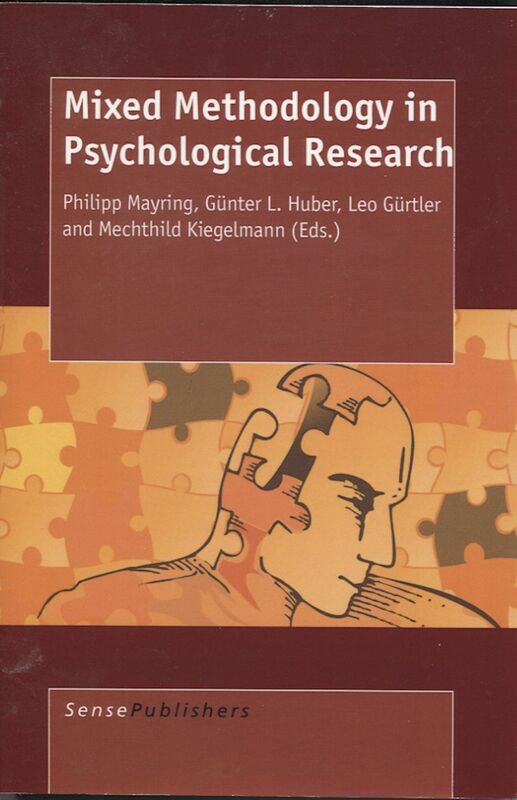 Philipp Mayring, Günter L. Huber, Leo Gürtler, & Mechthild Kiegelmann (Eds.) (2007). Mixed methodology in psychological research. Rotterdam: Sense Publishers.